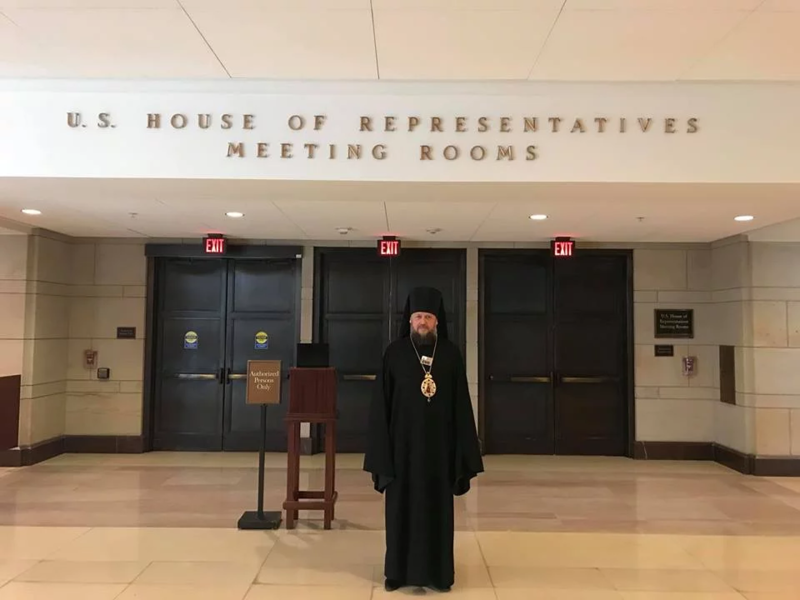 Ukrainian bishop Gedeon was detained at Boryspil airport and was not allowed into Ukraine after his visit to the U.S., as the Information Centre of Orthodox Church of Ukraine reported on Facebook. The viceroy of Kyiv Monastery of the Tithes, the bishop of the Orthodox Church of Ukraine Gedeon was not let to enter Ukraine during the passport control. The message says that he will be deported, yet it remains unknown where exactly. Information Centre of Orthodox Church of Ukraine informed that on February 5, the bishop visited the U.S., where he was talking about the situation in Ukraine related to the violation of rights of the believers, he told about attacks at Orthodox churches, beating and harassment of the believers by radical organizations. After such statements the bishop supposed that Ukraine’s authorities might put pressure on him. The Spokesperson of Ukraine’s State Border Guard Service Oleg Slobodyan reported about bishop’s detention on his Facebook page. He noted that his passport was seized for having several citizenships. Besides, it was determined that Gedeon is dealing with anti-Ukrainian propaganda. Border guards will decide on further legal actions against the detainee.